Fruit Sprays cluster of fruit in a stripe pattern. 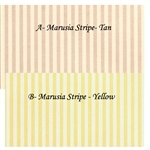 MiniGraphics Paper measures approx 18" x 11"
Marusia Stripe comes in yellow & and white stripe & gray and tan stripe. MiniGraphics Paper measures approx 18" x 11"
Sampler comes in tan and beige or blue & rust on beige background. MiniGraphics Paper measures approx 18" x 11"
Mini Sampler comes in tan and beige or blue & rust on beige background. Could be used for 1" or 1/2" scale. MiniGraphics Paper measures approx 18" x 11"
Loverly Stripe white background with floral hearts in a stripe pattern. MiniGraphics Paper measures approx 18" x 11"
Marcus Damask Stripe light green design in stripe pattern. MiniGraphics Paper measures approx 18" x 11"
Mini-Moire light brown pattern. Appropriate for 1" scale & 1/2" scale. MiniGraphics Paper measures approx 18" x 11"
Majestic has a gold design on cream paper. MiniGraphics Paper measures approx 18" x 11"
Centennial is tan on cream background. Could be used for 1" or 1/2" scale. 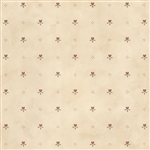 Brodnax Prints Paper measures approx 18" x 11"
Meg is a Tan with cream dot design. Brodnax Prints Paper measures approx 18" x 11"
Thistle Red has white thistle design on red background. Matches with Campagne Toile Red. Brodnax Prints Paper measures approx 18" x 11"
Herb Garden in green print on lighter green background. Brodnax Prints Paper measures approx 18" x 11"
Irise in stripe pattern of burgundy and blue. Brodnax Prints wall paper measures approx 18" x 11.5" high.